Discover the Florida Everglades on an airboat, the Florida Everglades is a hidden jewel of natural beauty and thrilling adventure. Glittering rivers and swamps banked by acres of Sawgrass make up the majority of this hidden paradise. Home to hundreds of species of birds and animals. Also only place in the world where crocodiles and alligators live side-by-side. The wetlands are a must-see attraction, and offer an unforgettable experience. An airboat tour gives you a great opportunity to do this. The Florida Everglades hosts an amazing variety of creatures in fact, many of them are on the endangered species list. It is the largest subtropical wilderness in the United States. Everglades National Park has also been designated an International Biosphere Reservee Site, and a Wetland of National Importance. Passengers of Fort Lauderdale Airboat tours will have the chance to see magnificent beauty up close and personal, in the very heart of the Everglades. As third-generation everglade Floridians, we know these magnificent waters very well; and with our airboat tours, you get the insider perspective. While drifting down the still waters, you may come within touching distance of an American Alligator, or see the eyes of a Florida Panther watching from a tree. Snow-white egrets stalk majestically among the lily pads, while the gentle giant manatees pass underneath like docile swamp elephants. Tailored to individuals, our Airboat Tour is fully customized to suit your particular dream tour. If you wish to watch the sun set over the ten thousand islands of Florida Bay or take advantage of the early dawn hours to listen to the birdsong of swamp-dwelling songbirds, we can create the tour for you. Our experienced guides have the knowledge and training to help you make the most of your tour. Airboat rides in Fort lauderdale gives you the insider information on secret spots and must-see wonders. However, the size and maneuverability of our Airboats allows us to go places other people cannot, offering you more than just a ride down the canal in a barge like others. 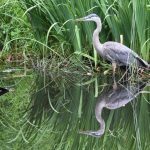 You will learn about the various species of plants and animals inhabiting the wetlands, as well as seeing first-hand the living, swaying, rippling beauty of the “River of Grass.” Our skilled drivers are also masters of their crafts, and can maneuver for a closer look at a flash of brilliant plumage or green scales. We are not a tourist trap we are the real thing. The natural beauty of the Everglades is nothing short of breathtaking, however you’ll want to capture it on film. 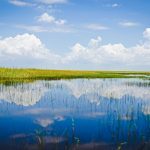 The Everglades offer a unique and unbeatable experience for budding photographers, or even just camera-happy tourists. With up-close-and-personal encounters with a variety of species, you’ll leave the wetlands with a bundle of memories captured in unbelievable sights. 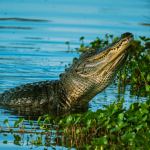 Some of the most rare and endangered species in the United States live here, even so you may see them on our private airboat tours, you can come face to face with these threatened treasures. The Florida Everglades is larger than the state of Rhode Island, although getting a glimpse of it is breathtaking. The Airboat Tour offers a unique combination of luxurious travel, although it is a fun and safe trip for the entire family. Fast, sleek, and powerful, our boats can take you anywhere in the wetlands in a matter of minutes. Taking an airboat ride in Fortlauderdale is fun, although it is educational as well. Contact us today to customize your tour, and discover the glory of the Florida Everglades. Contact us today for an airboat ride in Fort Lauderdale.